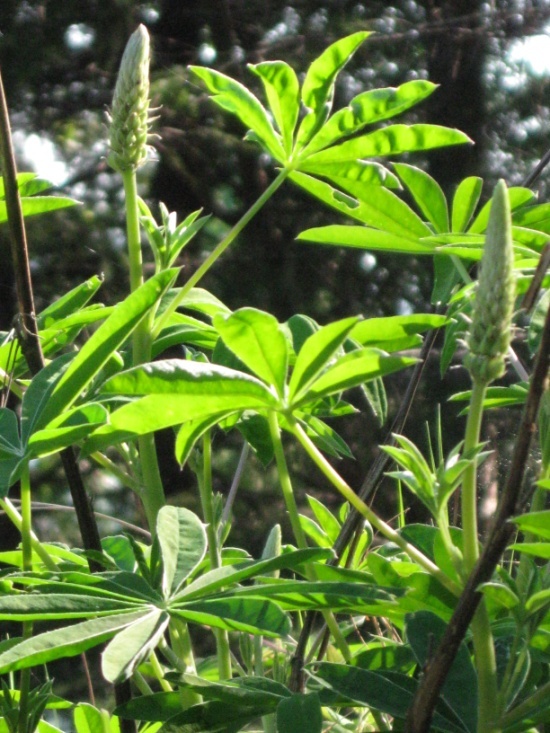 Lupinus oreganus, commonly known as Kincaid’s lupine, is a perennial forb native to the Pacific Northwest ecoregion. It is found in wet prairie habitats and open oak woodlands, both of which are habitat types that have experienced extreme degradation and fragmentation due to urban and agricultural development. 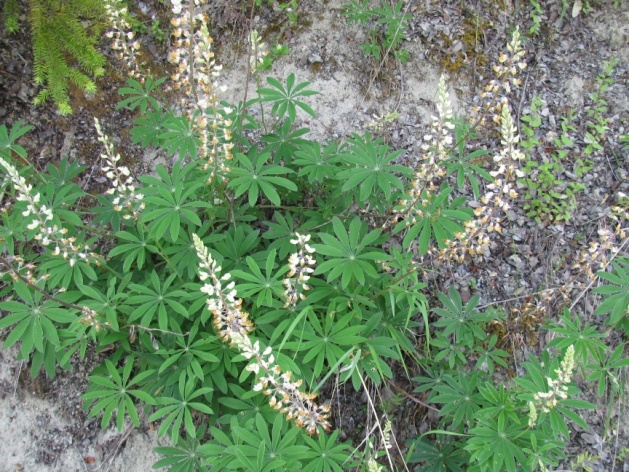 Although Kincaid’s lupine is listed as a threatened species by the U.S. Fish and Wildlife Service, approximately 90% of occurrences are located on private land making management and protection difficult. There are 161 known populations in Oregon, 94 of which cover less than one acre. Kincaid’s lupine is a member of the legume family (Fabaceae) and has clumping, palmate basal leaves and numerous unbranched stems. Reproductive stems produce 4-7 inch racemes (flowering stalks) with flowers arranged in a whorled pattern. This species can be seen flowering between April and June. There are several other lupine species that exist within the same range as Kincaid’s lupine and hybridization between species can cause difficulty in proper identification. Ten years ago, IAE began monitoring several lupine populations in Douglas County (the southernmost occurrences of the species) in order to look at trends in population size and reproductive vigor. Given that Kincaid’s lupine is the obligate larval host plant for the federally endangered Fender’s blue butterfly, researchers conducted butterfly surveys in 2007 at all monitoring locations. To date, there are no known occurrences of Fender’s blue butterfly within Douglas County. Current monitoring focuses primarily on measuring foliar cover (translating to abundance) and counting the number of racemes on the individuals monitored (translating to reproductive vigor). 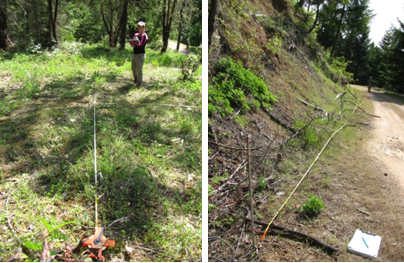 Transects or monitoring grids have been established at six independent sites within the Roseburg BLM district. Four of the sites are monitored with a full census of the plants, while the remaining two use sub-sample monitoring. One of the monitoring locations, Callahan Meadows, has a unique population that appears unable to produce successful reproductive individuals. Plant samples from Callahan Meadows were genetically tested and 100% of the individuals tested were polyploidy and from one maternal haplotype, meaning that the plants are effectively sterile. Individuals are able to continue reproducing vegetatively but not sexually. So, while the foliar cover of the plants in this population has continued to increase, the implications of decreased genetic diversity are concerning. The failure of pollination experiments has reinforced researchers' theories that the population has reached a genetic dead-end and is unable to produce viable seed. This population is the only known Kincaid's lupine population in the Roseburg BLM district that does not occur along a roadside and it also hosts enough nectar species to theoretically be habitat for Fender’s blue butterfly. Unfortunately, given the chronic reproductive failure, the lupine population would not be able to provide stable reproductive habitat for the butterfly. Aside from concerns about low genetic biodiversity, these lupine populations are vulnerable to encroachment of invasive species, disturbance and competition for resources from associated vegetation. Kincaid's lupine thrives in areas that receive high levels of sunlight, so decreasing canopy cover can have a positive effect on the populations' health. 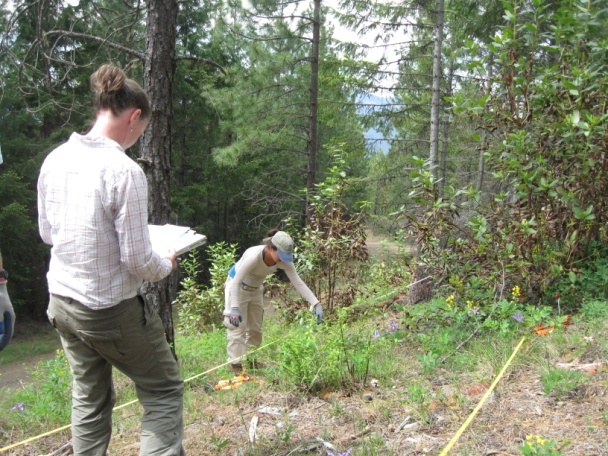 In 2010, the BLM treated four of the sites monitored by IAE by significantly thinning small shrubs and trees to open up the canopy around established plots. At three of the four sites it appears that plants have responded positively, as evidenced by an overall increase in foliar cover and number of inflorescences. Continued monitoring will provide more information about the success of this experimental treatment. Great keep up the good topic on research.appliedeco.org that is one down and several more to go such as crazy serf results such as showing parts of other sites as subsections on a different site.This site help us many ways.We are getting many kinds of facility by this site.Always,I love this site.Looking for Ola Flowers? Visit Olaflowers.blogspot.com. There is always an occasion that requires flowers in everyone's lives. Find the best Ola Flowers today.